Summary: Study may provide key insights into the visual system and perception. For decades the neuroscience community has been baffled by the existence of dense connections in the brain that seem to be going “backwards”. These connections, which span extensively across distant areas of the neocortex – the part of the brain responsible for higher cognitive functions – are clearly conveying important information. But until now, the organization of the connections and therefore their possible role, was largely unknown. The existence of ‘backwards’ neural connections linking distant areas of the neocortex — the part of the brain responsible for higher cognitive functions — have baffled scientists for decades. NeuroscienceNews.com image is credited to Marques et al. Funding: Fundação para a Ciência e a Tecnologia, Marie Curie, Human Frontier Science Program, Champalimaud Foundation funded this study. Image Source: NeuroscienceNews.com image is credited to Marques et al.. Original Research: Abstract for “The functional organization of cortical feedback inputs to primary visual cortex” by Tiago Marques, Julia Nguyen, Gabriela Fioreze & Leopoldo Petreanu in Nature Neuroscience. Published April 10 2018. Champalimaud Center for the Unknown “Hidden Structure of Enigmatic Backwards Neural Connections Discovered.” NeuroscienceNews. NeuroscienceNews, 16 April 2018. 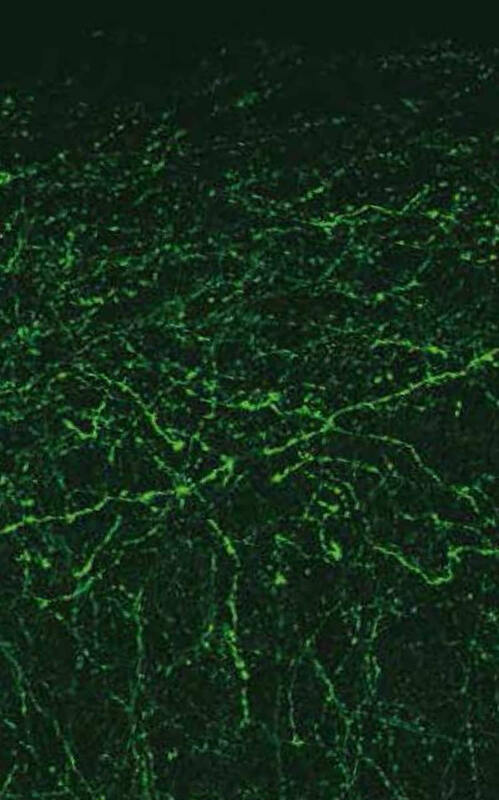 Champalimaud Center for the Unknown “Hidden Structure of Enigmatic Backwards Neural Connections Discovered.” http://neurosciencenews.com/backwards-neural-connections-8818/ (accessed April 16, 2018). Cortical feedback is thought to mediate cognitive processes like attention, prediction, and awareness. Understanding its function requires identifying the organizational logic of feedback axons relaying different signals. We measured retinotopic specificity in inputs from the lateromedial visual area in mouse primary visual cortex (V1) by mapping receptive fields in feedback boutons and relating them to those of neurons in their vicinity. Lateromedial visual area inputs in layer 1 targeted, on average, retinotopically matched locations in V1, but many of them relayed distal visual information. Orientation-selective axons overspread around the retinotopically matched location perpendicularly to their preferred orientation. Direction-selective axons were biased to visual areas shifted from the retinotopically matched position along the angle of their antipreferred direction. Our results show that feedback inputs show tuning-dependent retinotopic specificity. By targeting locations that would be activated by stimuli orthogonal to or opposite to a cell’s own tuning, feedback could potentially enhance visual representations in time and space.